I always said that if I ever became a mother, I would stop my career as a Child Life Specialist and be a stay-at-home mom. Well, my daughter was born in October and I am still practicing, but it feels different than it did before. Before being a mother, I was able to separate the two versions of myself—personal and professional—very easily. Now? It’s kid mode ALL THE TIME. But, that’s not the only thing that’s changed. **Awareness: I know too much and I’ve seen too much. It surprises people how much medical knowledge I have as a Child Life Specialist. I met with a genetic counselor before my daughter was born and before he could even list the chromosomal anomalies that could befall my baby he asked what I did for a living. When I told him, he sighed and said, “You know what all this is, don’t you?” Yep. “You know you don’t want any of it, right?” 10-4. He spared the lecture and ordered the blood test. It was probably the shortest consultation he’s ever had. “Knowledge is power,” but it can also be too much of a good thing. During my pregnancy I worried when I had no reason to worry and was always bracing for the worst. To this day, that has not changed, and probably never will. **Fear: It is scary as heck to be a parent!!!! I never imagined. During my time in the Emergency Department, I took away many wonderful experiences. But the most altering thing I took from there is the frantic, terrified, and helpless sight and sound of a mother who has been told she has lost her child or that nothing can be done for her child. You never forget that. But now that I am a parent, it raises my sensitivity in those moments. I can easily picture myself in those scenarios and it makes my heart ache. What would I want in that moment? Someone to provide comfort, support, even love. A mother’s heart is on that table and there is really not much else anyone can offer to ease her pain. 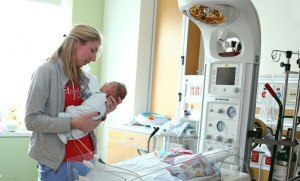 **Compassion: Now that I am a mother, I feel like my heart beats differently. Most Child Life Specialists will tell you that they keep a certain distance from the kids and families they serve. Don’t misunderstand—I love these kids and families. I always say that once I meet a child and know their name, they become mine. I’ve got thousands of kids that are “my” kids and I love each of them. I have only given birth to one, but that one has changed everything. My daughter makes me fight harder for my patients. She makes me fight for the parents who don’t know how to manage their child’s pain before meds are due again. 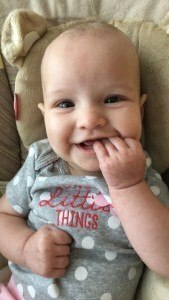 She inspires me to suggest certain books to parents to help them begin to understand loss. Their kids may hurt while in our care, but not only do I have knowledge to help and support them, I now want them treated the same way I would want my daughter and me treated if she were a patient here. Motherhood is an amazing journey and I know it’s just beginning for me. It has definitely changed how I practice, for the better. It used to be easy to get caught up in the ordinary hum of work/life balance, but in a hospital, no family feels their case is “ordinary,” nor should they be treated that way. For me, having a child gives me a deeper understanding of these emotions and helps me remember that my job and my investment in it aren’t any more ordinary than what our patients and their families are going through.